What about if we’re Scottish? Unless we have a previously existing relationship with a game or publisher I’m afraid this is a thing we usually will not consider, We do not often back board-games on Kickstarter and have no current intention of changing that stance. We have some fundamental philosophical issues with the way Kickstarter has become a way for larger publishers to effectively invert the risk-reward ratio of capitalist enterprise. We are also, and this is important, not primarily a site about what’s new and hot in upcoming board-games. However, if you can make a case as to why your game has merit from an accessibility perspective, we can be somewhat more flexible on this. We are prepared to review Kickstarter games (see below), but publicity for campaigns is usually outside the scope of the site. We’re happy to include a response in any of the sections of a tear-down, and if we have misinterpreted rules or instructions in the reviews we’re happy to acknowledge that in the text. When we tweet about new articles, we tend to include a mention of the publisher twitter accounts in there. If you reply via that, or send an email, we’ll provide your unedited remarks either in the body of the article (if they’re brief enough) or at the end if it’s a more comprehensive response. We’ll usually include our response to your response, but we will otherwise present your comments without modification. You can see an example of how this works in the Atlas Games response to the Socioeconomic accessibility section of our Once Upon a Time teardown. We do accept review copies. Unsolicited review copies are not guaranteed coverage. We can’t necessarily produce a review to a set time-scale, If you need specific arrangements regarding publication, this has to be individually negotiated on a case by case basis. Older games are just as valid for our purposes as newer games. We are willing to consider any game for review, although we prioritise those in the BGG top 500. Our accessibility teardowns mean we cannot review a game unless it is meaningfully complete. We can’t review prototypes or early draft versions. We also can’t review print and play games. We do not charge for reviews, or accept financial remuneration for coverage. Games are not guaranteed a good write-up. We will prominently disclose when we have received a review copy of a game. All reviews come with an accessibility teardown. There is no guarantee that reviews and teardowns will be conducted by the site editor, but they will be appropriately vetted. If requested in advance, publication of a review & teardown can be delayed for up to three months to permit for a fully considered right to reply to any accessibility concerns raised. This will be included in the teardown. This is only offered for games for which we received review copies. You can also email us at dice@imaginary-realities.com if you want to clarify or make an attempt to arrange something specific. 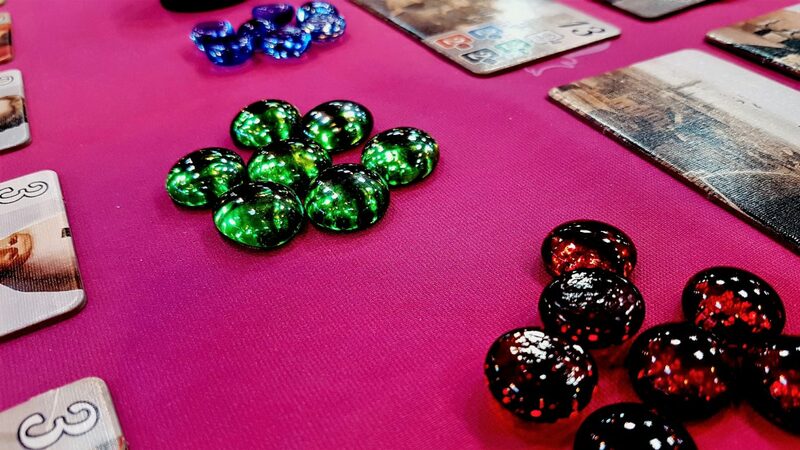 We do offer accessibility consultancy, but for the most part it’s a matter of negotiation because cost depends on game complexity, the ease with which play sessions can be arranged, and the timescale to which you need us to work. We play your prototype game several times to get the necessary context for an accessibility analysis. We provide an analysis as a series of bullet points and annotations, with actionable suggestions where possible. That belongs to you – it is never published on the site. Ethically, we cannot review a game for which we have consulted. That means we also can’t do an accessibility teardown in the usual manner. However if you want we we will write up a case study of your game as a special feature. It’ll come with accessibility grades and be registered in our recommender. There are various ways to commission us for accessibility consultancy work. Patrons at the $200 level get an allocation of two hours of accessibility consultancy that accrues on a monthly basis. This also gives you prominence as a supporter for the site because it comes with all the lower tier rewards too. Essentially this costs our accessibility consultancy at $50/hr – this is lower than usual as a reward for the commitment of backers. This gives you the double benefit of high prominence for your support and subsidized accessibility consultancy. Assume three plays of your game at the high end of the play time estimates. In this we also assume that your estimates are roughly accurate. Assume it takes about an hour per BGG weight class to write up an analysis. A light game will likely take an hour, a heavy game will likely take five. Assume it takes about an hour per BGG weight class to write up a case study of ~1500 to ~2000 words. If you don’t want the case study, still assume about half an hour per weight class – this is a ‘valued added’ thing to maximise benefit for the work we do. Assume an additional hour or two of miscellaneous work such as emails, reading manuals, advice on Kickstarter accessibility language, and anything else that needs to be done in the course of doing the analysis. Assume an extra $100 per minimum player greater than two. This is to remunerate those that have to be drafted in to meet player count requirements. We will certify on the site that you have undertaken an accessibility analysis, and will provide accreditation of that fact if you wish to use that in Kickstarter campaigns or promotional materials. Our endorsement of what you do with the analysis is not implied by either of those things. Drop us an email at dice@imaginary-realities.com if you wish to discuss our services in this area. Get in touch! I’m sure we can work something out. My philosophy tends to be ‘If you’re getting paid, so should I’. If you’re not getting paid though, I’m happy to offer what (reasonable!) guidance and support I can pro-bono. We want to do what we can to support the Scottish gaming scene, so check out our Scotlight programme and perhaps we can come to some arrangement.